CEDAR CITY – A routine traffic stop led police on a foot pursuit after the suspect allegedly ran away on the officer’s command to step out of his car. 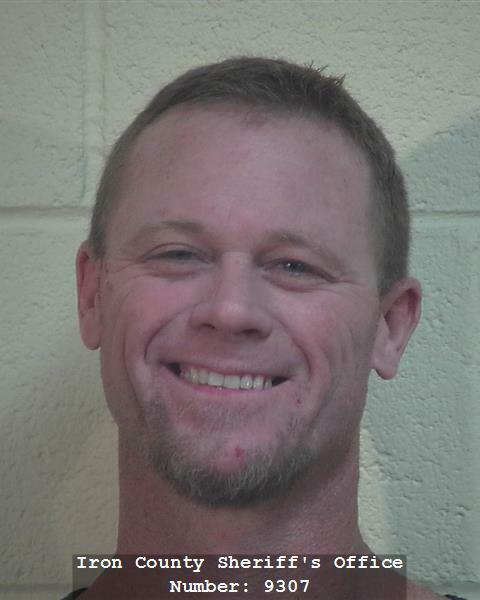 Travis Trost Braun, 40, was arrested Sunday morning and is facing several misdemeanor charges including assaulting a police officer and failure to stop at the command of an officer following an incident with Utah Highway Patrol. Trooper Clay Allred initially stopped Braun for not having a light on his license plate. According to the charging documents filed in 5th District Court in Cedar City, when Allred walked up to the vehicle to introduce himself he could smell marijuana coming from the vehicle Braun was driving. When Allred confronted him about the smell, Braun allegedly denied having any marijuana. Allred told the suspect he would be conducting a probable cause search of the vehicle. Braun refused the search, according to court documents. Court records show Braun has a number of prior felony convictions. Additionally, he is on parole, giving Allred the right to search his vehicle solely with permission from the suspect’s parole officer, UHP Sgt. Ryan Bauer said. Braun allegedly ran away from police after Allred asked him to step out of the vehicle and turn away from him with his arms above his head. “He stepped out of the car, turned away from me and then took off running,” Allred wrote in his statement. Allred grabbed his jacket but the suspect slipped out of it, continuing to run from the officer. Braun tripped on a nearby curb where Allred caught him and wrestled him to the ground. During the scuffle, Allred wrote in his statement, he allegedly felt Braun reaching around near the officer’s right hip where his gun is located. The two continued to wrestle as Braun tried to resist arrest, court documents state. Allred was eventually able to get his left hand free and pull his Taser while holding Braun with his right hand. He stopped fighting as much but was still “noncompliant,” Allred said. Allred held the suspect at Taser point until another officer arrived on scene and was able to secure him. Both men received some minor injuries. Braun was transported to Cedar City Hospital to be medically cleared before being taken to the Iron County Correctional Facility where he is being held with $10,000 bail required for his release pending trial. Trooper did find what they believed to be a methamphetamine pipe and a “white crystal substance” in a baggy located in Braun’s jacket that authorities said resembles methamphetamine. They also found another container that contained an unknown substance, court documents state. Braun also had a medical marijuana card in his wallet and allegedly told officers that he uses marijuana. Authorities found marijuana residue throughout the inside of the vehicle, Allred said. Braun submitted to a DUI field sobriety test but allegedly refused the same for drugs. He also declined a voluntary blood draw.